The dictionary describes a double wammy as a twofold blow, like tax increases and prices going up at the same time, or being sick and health insurance running out, but the Double Wammy pokie from Microgaming obviously doesn’t want to be seen in that way, so instead it features a couple of shiny diamonds as a logo and takes its name from them. This classic style 3-reel and single payline game is typical of the breed, having the equally traditional symbols, payouts, betting options and special features that aficionados of this style pokie are looking for. It won’t do much for those who like a little more variety in their games, but this is certainly a good way to chill out, spin the reels and collect some nice winnings along the way. Like all games from this developer, it’s trustworthy, reliable and fair, while graphics and animations are top quality, even though the actual design of the game is pretty simplistic. With a paytable taking up one side of the screen, and the game logo plus the actual reels being on the other side, players will be instantly familiar with how it all works. The logo is just the name of the game with the diamonds above it, and it’s all set against a restful blue background that does without any fancy extras. This game is all about spinning up winning combinations and is aimed at those players who are not looking for distractions on their way to doing so. To get started, they will need to decide on a bet size and by using the control panel they can value coins at anywhere from 0.25 to 5.00, and then decide whether to play with 1, 2 or 3 coins which would equal a maximum bet of 15.00. Not much for this type of game, so those who like to gamble with higher limits may well be put off by this alone. An Expert mode lets them choose to play 5 or 10 spins automatically, or by clicking the Autoplay button, the reels will spin over and over until the player decides to stop them. 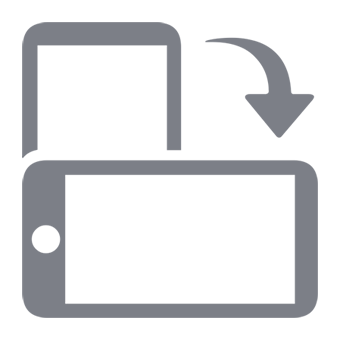 Once a bet level has been decided upon, a review of the payout schedule will detail just how much will be won each time the right symbols stop across the payline that runs through the middle of the reels. This game has three columns of numbers to differentiate between how much players will win using 1, 2 or all 3 coins, although with one exception, there’s no difference to the bet/win ratio at all. A single example of the cherry symbol on the line will be worth 2x the amount bet, with 2 of them being worth 5x and a line of them right across the line has a return of 10x. Other lower-value symbols are the classic bars, with any bar being worth 5x the stake, singles are 10x, the double bar icon pays out 25x and finally the triple bar icon will reward them with 40x. 7’s are traditionally a high-value symbol, and unsurprisingly, with Double Wammy being such an old-school game, it’s no different here, with a line of them across the middle of the reels being worth a win of 80x the amount wagered. All perfectly normal so far, but the game logo symbol has a couple of tricks up its sleeve that make it the highlight. Firstly, it’s a wild symbol that replaces any other if it means a winning combination can be created, so 2 examples of a symbol and the wild will not only equate to a win, but the value of that win will be doubled. If 2 wilds stop on the line along with any other symbol, then the subsequent prize will be quadrupled in value. Lastly, a full line of the wild is the top prize, with 800x the bet value being awarded if 1 or 2 coins are in play, but should 3 coins be activated, then it’s worth slightly more. 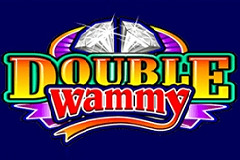 Double Wammy is easy-playing, pays out frequent prizes and has the potential for some big jackpots. By having the wild multiplier in there, it’s a bit more than just spinning the reels and collecting basic wins, as getting the 7 and a couple of wilds for example will be worth a nice 320x the stake, while the 2500-coin jackpot could really make someone’s day. Of course those who are not into 3-reel games are unlikely to have this one change their minds about them, but it’s a shame as they will be missing out on a decent pokie that has deservedly been popular for some time.